In Michigan, your driver’s license can be revoked or suspended for a number of reasons. In some cases, your suspended license may be reinstated after a set period of time, provided you don’t commit any additional offenses in that time period. In other situations, your driver’s license may be revoked, meaning you need to take steps in order to have it reinstated. Here’s what you should know about getting your driver’s license back in Michigan. When you commit a series of serious driving offenses in Michigan, you can have your driver’s license either revoked or suspended. A suspension usually means that your license is taken away for a set period of time. This can occur after a DUI conviction, refusal to submit to a blood alcohol test, insurance related offenses, failure to appear in court, excessive points on your driving record, unpaid tickets, or a vehicle related felony. There are a few more serious situations where your license could be suspended indefinitely. More specifically, persons who fail to respond to a Michigan traffic citation or fail to comply with a Court judgment may have their licenses suspended. CDL drivers who commit certain traffic violations while operating a commercial motor vehicle may be subject to stiffer penalties, including CDL suspension or revocation. CDL drivers must also notify their employer in writing of moving traffic violations committed in any motor vehicle within 30 days of conviction. The Secretary of State can also cancel driver licenses that were unlawfully or erroneously issued. In other cases, like those where multiple DUI convictions are involved, your license can actually be revoked. This means that it has been taken away for a period of time, and you need to actually fight to get it back once you can prove your ability to operate a vehicle safely and within the law. In most cases, your license will be reinstated after you wait out the suspension period or address the issues causing the suspension. For example if you have unpaid tickets or failed to appear in a court for a traffic hearing the only way to get your license back is pay your tickets and go through with the traffic hearing. If you have a bench warrant for unpaid tickets or failure to appear in court, I recommend hiring a criminal defense or traffic ticket attorney, not a drivers license restoration attorney. 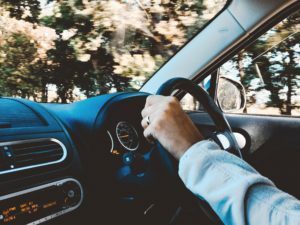 If your driver’s license has been revoked due to DUI convictions, you need to wait at least one year, or five years if you’ve had multiple revocations within a ten year period, before requesting a hearing. Once you’re able to schedule a hearing with the Michigan Secretary of State, you need to collect evidence that shows how you’ve overcome your substance abuse difficulties and demonstrate how you’ll be able to drive safely going forward. This should include a substance use evaluation form from a certified counselor, proof of counseling or AA attendance, letters of support, and a drug screen. I recommend hiring a drivers license reinstatement lawyer for anyone who has lost their license because of DUI’s. Once you complete the initial hearing process, you may need to operate using a restricted license for about a year. This means you’ll need to have an interlock device installed on your vehicle. This device requires you to submit to a breathalyzer test before starting the engine and while operating. It also keeps track of any alcohol readings throughout the year that you must submit to the Secretary of State to prove that you never attempted to operate a vehicle while under the influence of alcohol or drugs. After a designated time period, usually one year, you can request another hearing to have your driver’s license fully reinstated. There may also be other reasons for a driver’s license revocation, though DUIs tend to be among the most common. The process will vary slightly depending on the exact cause. So your best bet for reinstatement is to work with an attorney that handles license restoration cases. They can help you gather all the evidence that’s relevant to your particular case, so you can move forward on getting your Michigan license back.